This is an important year for the history of the court and for the figure of the prince, so well defined by Niccolò Machiavelli five hundred years ago. This symposium is dedicated to him and to the arts of the Italian renaissance courts. Our international congress is an exploration of the fundamental changes in patronage in Northern and Central Italy that occurred at Italian courts in the fifteenth and sixteenth centuries. Most cities were governed by aristocratic families as in Ferrara, Florence, and Milan, while others such as Genoa and Venice had republican systems of government. Then there was Papal Rome, always an exception. During the 15th and 16th century there were many wars. Yet at the same time there was often an equilibrium between courts, some forging alliances with European royal families, the Hapsburgs, or the kings of Spain and France. Fundamental in this strategic game, were the wedding policies of individual rulers. An example is given by Ludovico Sforza, know as il Moro, who allied Milan with Spain through the marriage of his nephew Gian Galeazzo Maria Sforza to Isabella of Aragona; he also strenuously tried to arrange the wedding of his niece Bianca Maria Sforza with the Hapsburg Emperor Maximilian I, nearly making the Milan Duchy bankrupt. The new Dukes exhibited their wealth by commissioning unique objects that often took inspiration from historic literary sources. 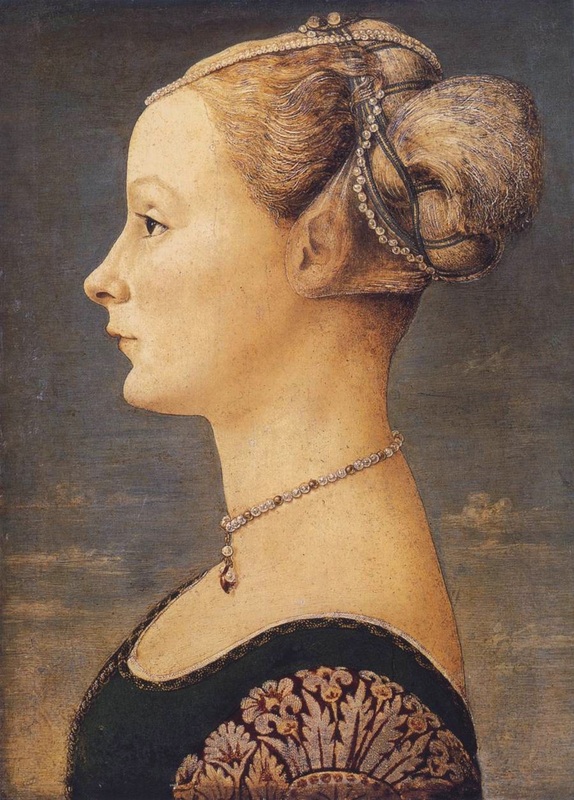 Patrons were ready to spend enormous sums of money, not only to buy precious materials, but also to develop new techniques for local production of textiles and metals made in Milan for the Sforzas, for the Medici in Florence and for the aristocratic oligarchy in Venice. Craftsmen were often invited from Northern Europe. They moved between Italian courts from the d’Este court at Ferrara, to the Gonzaga court at Mantova, from the Montefeltre at Urbino to some of the Popes, who came from noble families (the Colonna, the Piccolomini, the Della Rovere, the Medici and the Farnese, to name a few). Although Ludovico is best known as the patron of Leonardo’s Last Supper, his magnificence was represented through the luxurious products commissioned and made in his own workshops. Italians exported luxury goods and objects of great quality to other European countries investing a lot of money. These objects were gold, silver and crimson textiles, inlaid precious stones, arms and armour made with valuable metals. All these works, made with great skill, demonstrated the magnificence of the Duke as well as the skill of the artists working in the land he ruled. Among these court objects were musical instruments, Murano glass and pastiglia caskets. These objects were infinitely more expensive than the paintings, frescoes and sculptures by famous contemporary artists, like Leonardo da Vinci or Cosmè Tura. These celebrity artists were the innovatory designers, producing preparatory drawings for skilled craftsmen to execute. So what were the so-called major arts in the Renaissance? Annalisa Zanni, degreed in History of Medieval and Modern Art at the University of Milan, and specialized with a Master in History of Medieval and Modern Art in Florence. In 1976 she started working at the Poldi Pezzoli Museum for the Didactic (educational) Section, and become the responsible for it in 1979. In 1982 she became Curator at the Poldi Pezzoli Museum. Since then she was responsible for the collections, for the conservation and restoration of art works, for search and study of works in the collections of the Museum with particular attention to decorative arts (specialized in the section of furniture and jewellery). She was in charge of the promotion of the Museum attending conferences in other institutional centres in Italy and abroad. Since 1993 she has been giving lessons on Jewellery History at the University “Cattolica del Sacro Cuore” in Milan for students of Master in History of Art. Her name is in a large number of publications, studies and searches, particularly on the history of taste in the XIX century (La casa dell’Ottocento), on furniture and jewellery. Director of the Poldi Pezzoli Museum from 1998 by nomination of the Board of the Artistic Foundation of Poldi Pezzoli; in 1999 she became director after an open competition. In 2011 she received the Ambrogino d’oro, the most important civilian award given by the municipality of Milan.